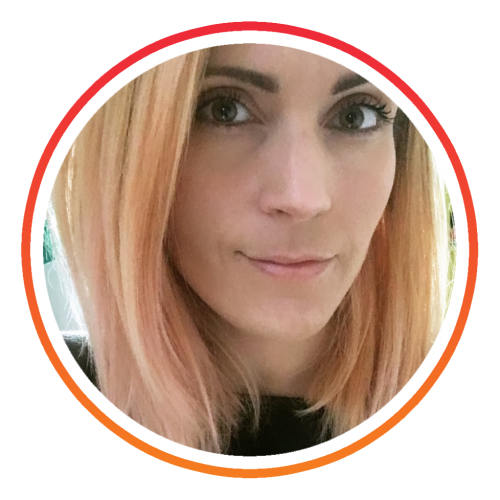 I’m Danielle, a thirty-something designer with over 15 years experience. I’ve always enjoyed the creative side of life and have been lucky enough to indulge in a fair few projects and make being creative my living. I mean, everyone owns 47 domain names they never use because they have a great idea at 4am, right? The problem with having all these business ideas is that I would endlessly redesign my websites, redesign the logos and branding for each of my business ideas and never progress any further as that was the most enjoyable part for me. By setting up Brand13 I am able to fulfil my branding obsession by creating beautiful branding for your company. I enjoy nothing more than working with colourful creatives & energetic entrepreneurs who are ready to elevate their businesses to the next level. It all started whilst studying Fashion Design and Illustration at University. I was fortunate enough to land a job as an assistant fashion designer in a small boutique in Birmingham after a work experience placement. My day was spent sourcing and revamping vintage clothing with old trinkets and finds, which is probably to blame for my current hoard of all things crafty. It was here that I also designed and made a collection, which was sold in several Topshop stores across the UK. For someone who was yet to graduate it was a great opportunity and gave me an insight into making a profit from being creative. After graduating in 2005 I approached The Princes Trust with a business plan. It was a “Dragons Den” style presentation that I sweated over for weeks. Luckily they weren’t dragon like at all and I walked away with a business loan and the support of a business mentor. It was this that helped me create my first company “dressedbydanni”, an alternative clothing company. I needed to budget my loan, so I took to google and educated myself in web development and built my own ecommerce website. I also designed, manufactured and marketed the clothing from my bedroom (managing to keep outgoings to a minimum). It was a great learning experience and I had a great customer rapport, which was definitely the key to my success (myspace was my mecca for alternative scene kids at that time, so business was booming). The company ran for 4 years, selling clothing to everyone from my next door neighbour to a transvestite in Hollywood. It was a natural progression to reinstate my love of drawing after doing the marketing and fashion sketches for dressedbydanni. I set up “doodlesbydanni” as a sister company, selling my hand drawn illustrations on everything from canvases to T-shirts and also offering freelance illustrator services. There were no outlay costs with this company as all my products were produced and shipped through 3rd party sites. This is a great way for anyone looking for small start up costs. I used, (and still use), sites such as “Redbubble” and “Society6”, but there are plenty more reputable sites out there to choose from. Having an online portfolio and doing freelance illustration and graphic design work secured me full time roles with some big named brands. I managed to work with Esbelt Brazilian Bodywear, Booze Buster and Oddbins creating various marketing campaigns, as well as creating editorial layouts for NEXT, Lingerie Buyer, Bridal Buyer and Simply Yours. My hardest job to date would have to be becoming a mother, as I’m sure many of you female entrepreneurs would agree. I have 2 boys and I’m enjoying watching them grow and seeing my eldest develop his own creative flare. Luckily his artistic skills overshadow the clumsiness he has also inherited from me, so fingers crossed his little brother has more balance. Writing a children’s book had always been on my bucket list, so in 2015 I took the plunge and finally penned a rough draft from an idea my eldest son had. Over the course of 2 years (yes, kids really do slow life plans down don’t they) I fine tuned the story, illustrated the words and lovingly put together my first ever children’s book. The Unicorn Room originally housed a range of my illustrated clothing and prints for adults, but after the warm welcome of my first children’s book the existing business just didn’t sit right alongside my newfound audience. After taking a step back, I decided to revolve www.theunicornroom.com around Popcorn The Unicorn, and here we are. My House. You can’t beat home comforts. Brand13 is now in it’s second year of trading and boasts a worldwide client base of badass female entrepreneurs that love great design and are not afraid of pushing the boundaries of their business aesthetics. Brand13 works remotely so is therefore not restricted to 9-5, allowing me to work around family life and connect with clients around the world in varying time-zones. Illustrating and designing is my passion here at Brand13. My aim is to provide stunning, intentional design that communicates your message effortlessly whether that be through bold graphics or fluid illustration. From creation to completion I can offer you the whole package when it comes to your company aesthetics. Designing visual styles that are not only beautiful, but entice your target audience into becoming your customers.